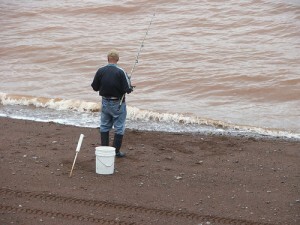 Five Islands is a small village on the shores of the Minas Basin. The area is named for the 5 islands that sit just offshore: Diamond Island, Egg Island, Long Island, Moose Island and Pinnacle Island. Mi’gmaw legend says they were created when the native god Glooscap threw chunks of sod at Beaver. Four of the islands are uninhabited but you can stay on Long Island. It’s a retreat for artists, writers and other people who want to get away from it all. Most people come to visit the provincial park where you can go camping, hiking, rockhounding and kayaking. Even if you don’t want to stay, Five Islands is a nice place to stretch your legs on the drive between Truro and the town of Parrsboro. Directions: Five Islands is a 1 hour drive from Truro and about 90 minutes from Halifax airport. To get there, take Route 2, which runs between Truro and Parrsboro.